Get ready to discover San Jose de Cabo and Cabo San Lucas in one day on this fun-filled Los Cabos Culinary City Tour. 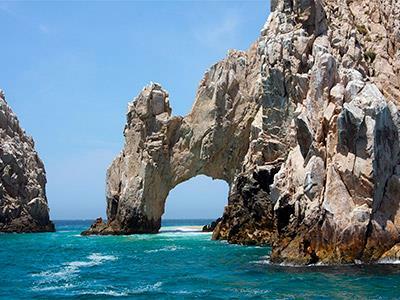 This tour begins with a glass bottom boat ride to visit one of the most iconic attractions in Los Cabos: the Lands End Arch, a natural stone formation situated where the Sea of Cortez meets the Pacific Ocean. We’ll also visits a blowing factory, where you will learn about the glass blowing process and have some time to shop for souvenirs. Then, we’ll drive to downtown San Jose del Cabo, stopping along the way at a scenic lookout point. At 1:00 p.m. we’ll meet for a delicious gourmet lunch, followed by some time for shopping and a guided tour of the San Jose Parrish. This tour is a great opportunity to get to know these two amazing cities, do some sightseeing, shopping, and enjoy a great meal. Don’t miss it!